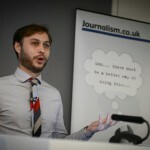 Jack Shepherd, editorial director of BuzzFeed, will deliver the keynote speech at next year’s news:rewired, Journalism.co.uk’s digital journalism conference. BuzzFeed originally launched in 2006, and this November reported 130 million unique users. Known for its lists, eye-catching visuals and snappy headlines, the site is also making strides on the serious side, covering breaking news and long-form journalism. 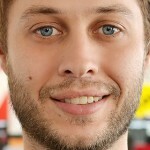 In his keynote speech at news:rewired, Shepherd will address how news outlets can strengthen their efforts in making the content they produce more shareable. He will also return to join the first session discussion, which will remain on the social media theme with a look at social media judgement and more on shareability. Other sessions due to take place over the course of the day will offer expert advice and recommended tools on subjects such as how to do data journalism on a budget, engage with the community, source content from Instagram, stay secure online and produce immersive journalism. This is Journalism.co.uk’s eleventh news:rewired conference, and is expected to be another sell out. Tickets are still available for £130 +VAT.